Fruit flavoured, multi-coloured pellets promote better acceptance by seed-eating birds. 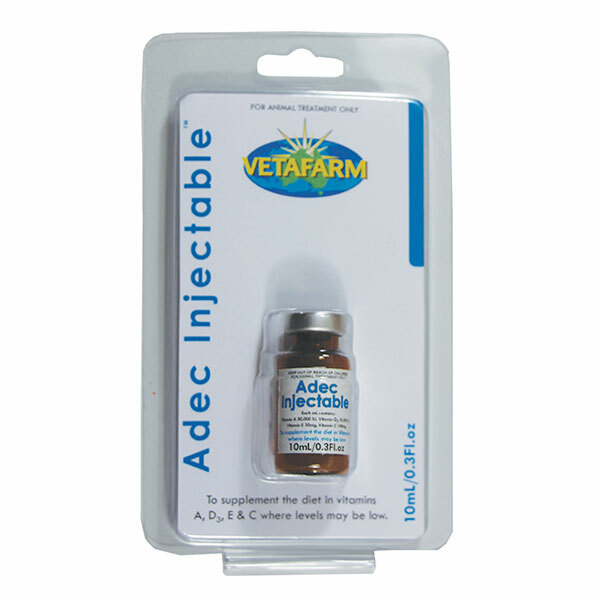 Includes balanced vitamins, minerals, calcium and amino acids essential for a stable diet during the breeding season. 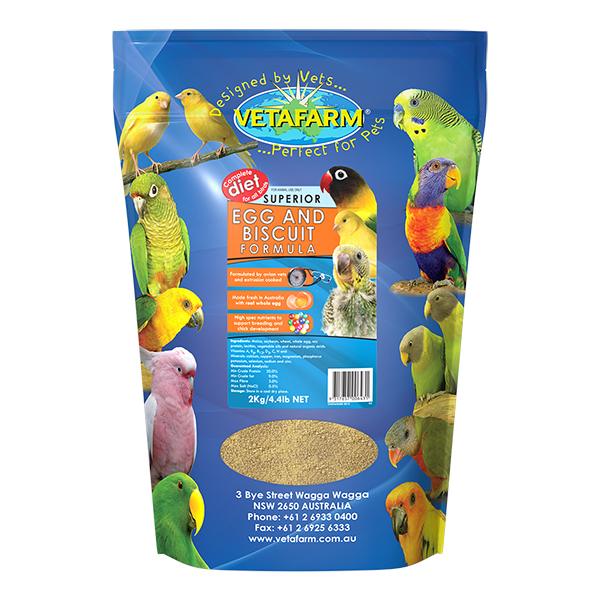 Extrusion cooked pellets offer a palatable, balanced diet that maintains birds at a healthy weight. Eliminates waste associated with seed and ensures a longer healthier life by providing scientifically formulated nutrition. Breeding Australian and Asiatic parrots. 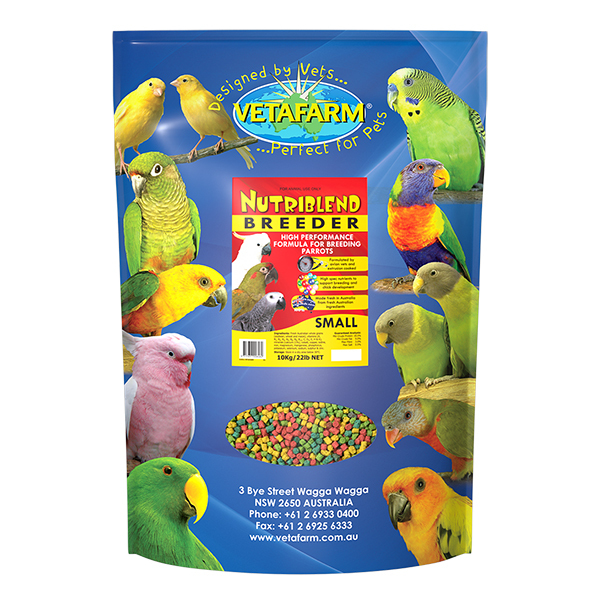 Regular Nutriblend Pellets can be offered to fat sensitive birds (such as some Australian species) when not breeding or raising young. 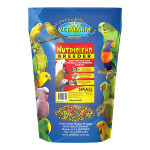 Nutriblend Breeder Pellets should be fed as a total diet, beginning approximately 6 weeks before breeding season and continued until chicks fledge. 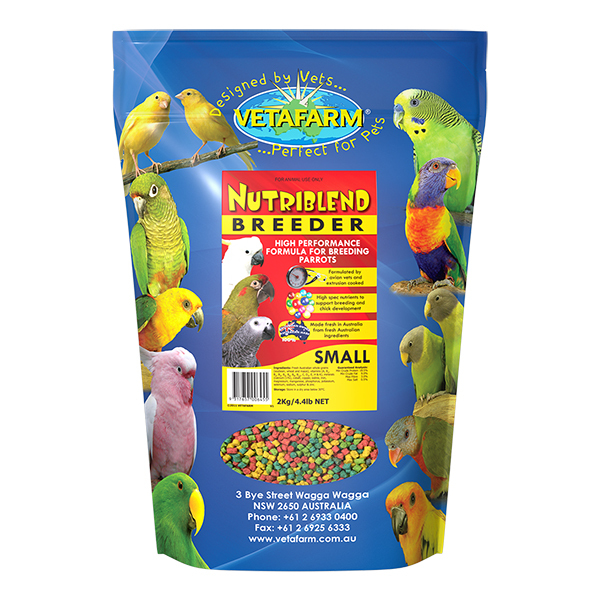 Although Nutriblend Breeder Pellets contain all the nutrition necessary for breeding it is recommended that the birds be given access to fruit, vegetables, and native vegetation as environmental enrichment. 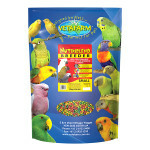 Chicks raised by parents being fed Breeder Pellets will wean directly onto regular Nutriblend Pellets. 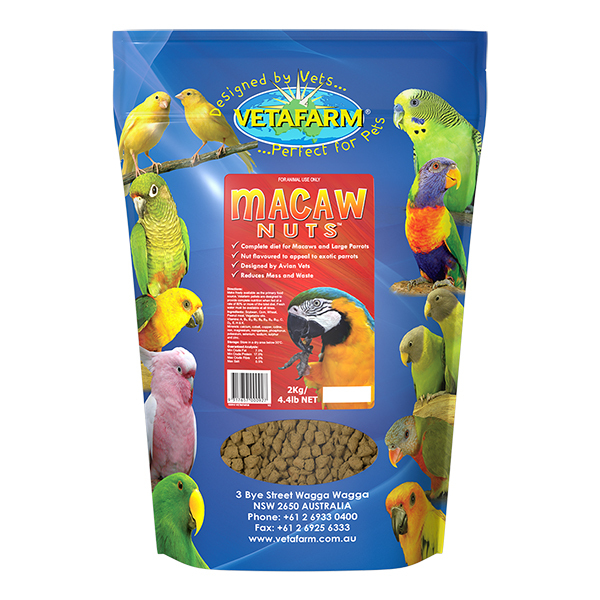 Chewable items like pine cones, cuttlefish bone, and native tree branches may be provided to help occupy your bird. Whole grains (wheat, corn, soybean), soy protein, vegetable oils, and natural organic acids, Starch, Amino Acids (lysine & methionine), vitamins (A, B1, B2, B3, B5, B6, B9, B12, C, D3, E, H & K), Minerals (calcium, cobalt, copper, iodine, iron, magnesium, phosphorus potassium, selenium, sodium, sulphur and zinc), fruity flavours (Apple, blueberry & raspberry).